GoNB Grants are designed to strengthen physical literacy and reduce barriers to sport participation for children and youth, with a particular focus on under-represented populations. Applicants must demonstrate their capacity to plan and implement programs that develop physical literacy and/or reduces barriers to sport participation literacy as per Canadian Sport for Life model (Active Start, FUNdamentals and Learn to Train). The Inclusive Recreation Fund is now available exclusively to municipalities and organizations that provide recreation services. Expenditures associated with new or existing inclusive physical activity programs or infrastructure that eliminates barriers to active living and / or recreational activities are eligible for funding. For more information, please read the financing guidelines. Municipalities or organizations that provide recreation services may apply for funding from the Inclusive Recreation Fund to help cover costs associated with inclusive physical activity programs or facility upgrades. Examples of appropriate applications include funding to reduce program costs, purchase new equipment, cover transportation costs, or upgrade facilities. Registration deadlines for 2018-2019 are August 17, 2018 and January 18, 2019. Applications will be reviewed and a maximum of $ 5,000 will be awarded after each date. Priority will be given to new applicants and to Recreation NB membership. Funding will only be provided for the expenditures described in the Funding Guidelines. Inclusive Recreation Activity Fund – Funding Guidelines – FR. Inclusive Recreation Activity Fund – Application Form – FR. Para-Equipment Fund – Grants are awarded up to a maximum of $5,000. Recruitment Program Fund – Grants support the creation of a new or existing program, to provide a positive introductory para sport experience. The Parasport Jumpstart Fund offers three streams of funding for eligible organizations. 2. Parasport Funding: This funding stream provides support to programming for sports that are not on the Paralympic program. These sports are generally considered “Parasport” and include wheel dance, waterski and wakeboard, para golf, para sailing and more. This funding will support projects and programs for single sports. 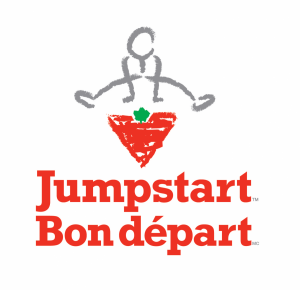 Organizations that do not meet the criteria for the Parasport Jumpstart Fund are welcome to apply for funding through the Canadian Tire Jumpstart Fund. The application deadline is June 25, 2018 *Late submissions will NOT be accepted. The Fredericton Community Foundation supports charities in the greater Fredericton region in a wide range of areas including Arts & Culture, Heritage, Youth, Environment, Health & Wellness, Education, Athletics, and Social Development.